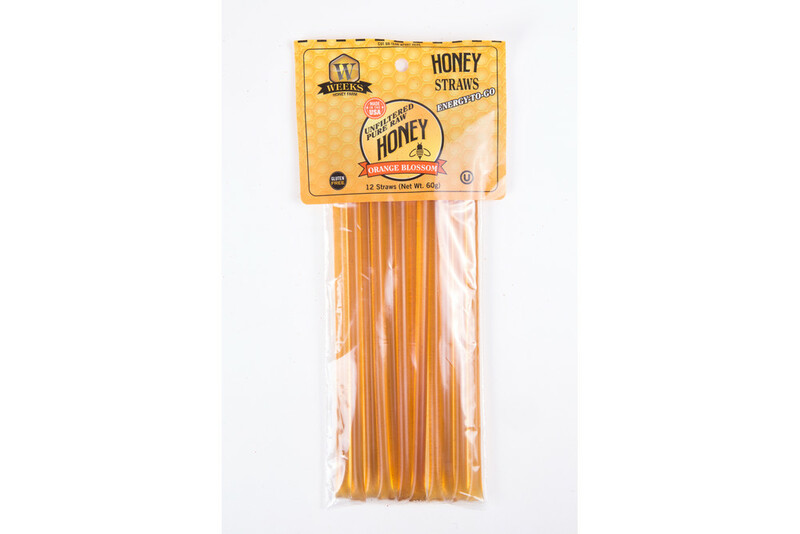 Add these honey straws to your pantry and sweeten up your day. The buzz has gotten out. 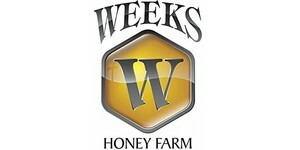 The Weeks family began beekeeping over 50 years ago, and have had four generations active in the business ever since. 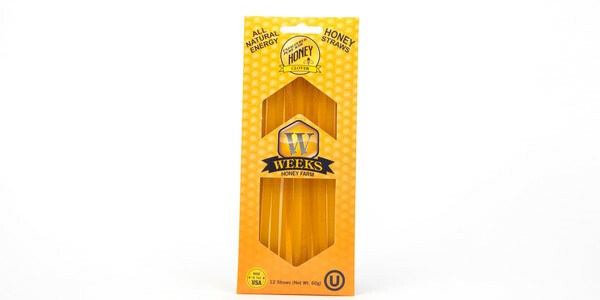 Founded by Flaval G. and Margaret Weeks in the early 1960s, this company has been buzzing along ever since. 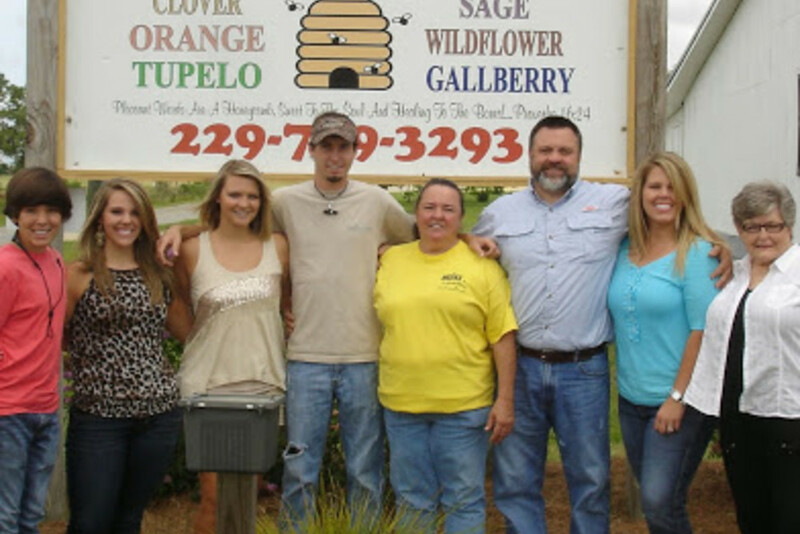 All of their honey is produced in America, family-owned and operated out of Omega, Georgia. 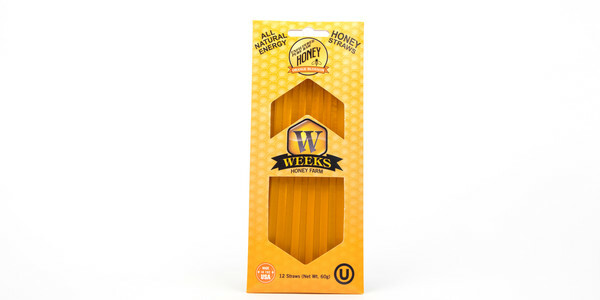 The honey is strained and not filtered. 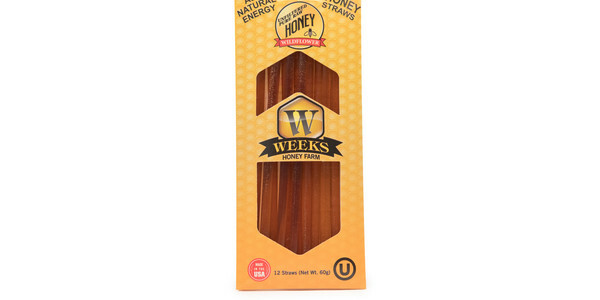 Honey has a variety of health benefits ranging from boosting your immune system to improving energy levels. 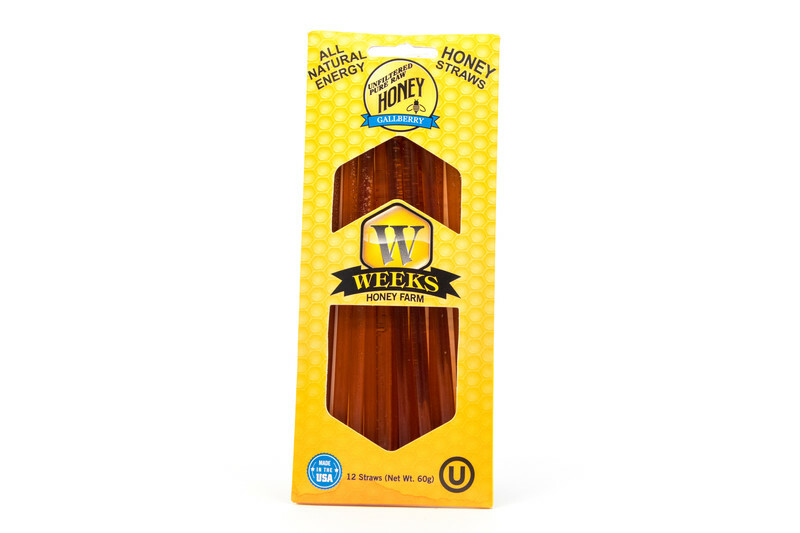 Stock up on straws of sweet honey to snack on, put in honey, or add to your favorite recipes. 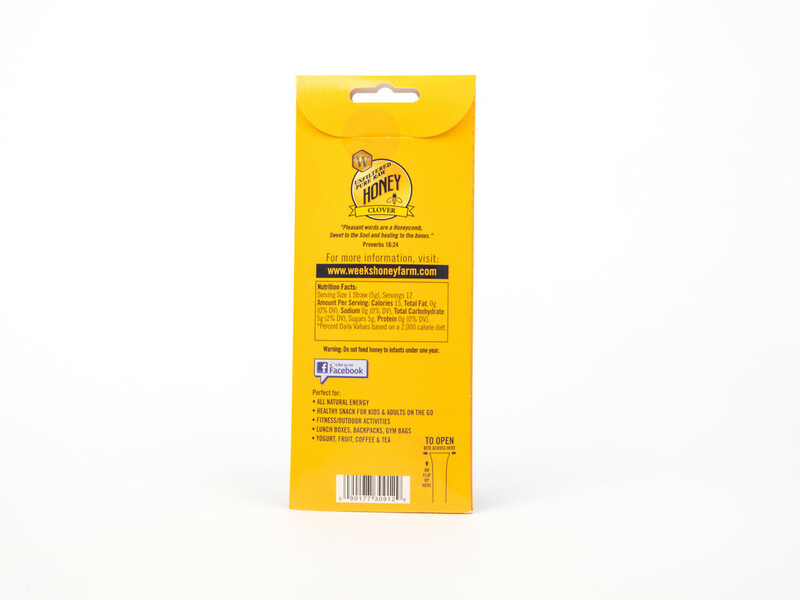 Orange Blossom Honey is made in California and Florida orange grooves. 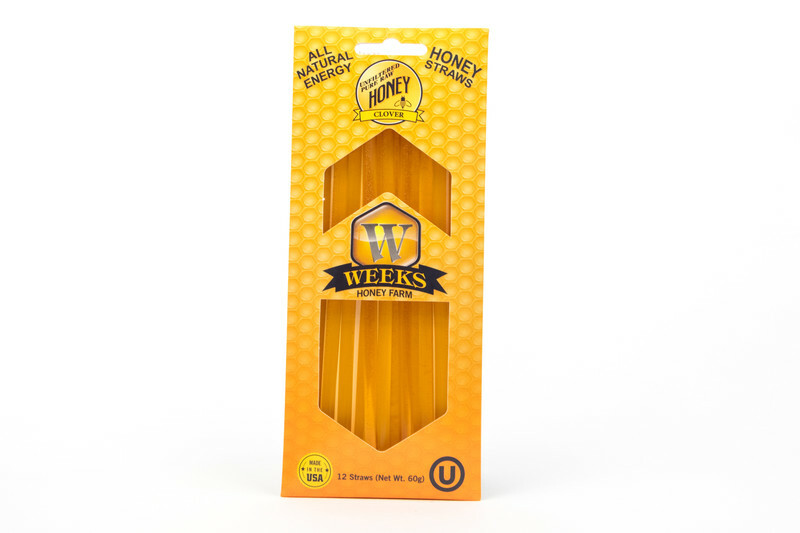 It has a classic honey taste with a citrusy twist. 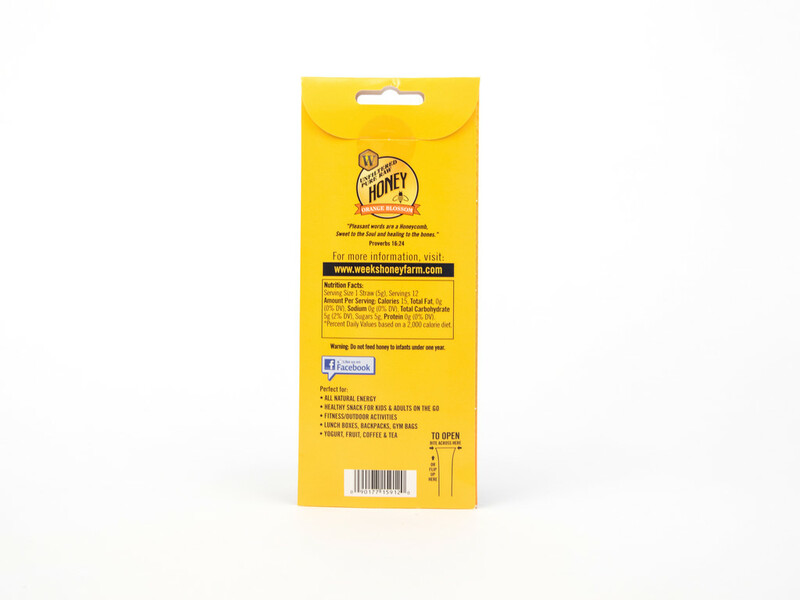 Essential on biscuits 12 straws per pack. 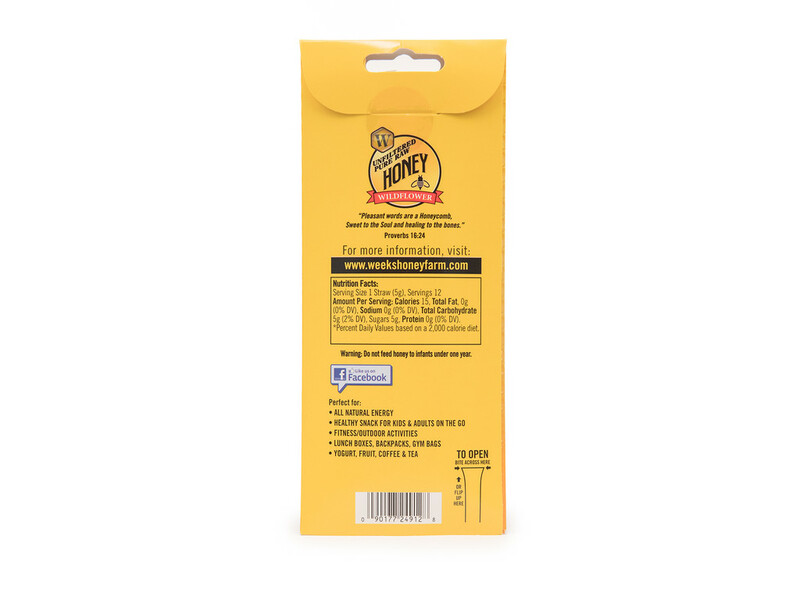 Gallberry honey is made in Georgia from the nectar of the Gallberry bush. 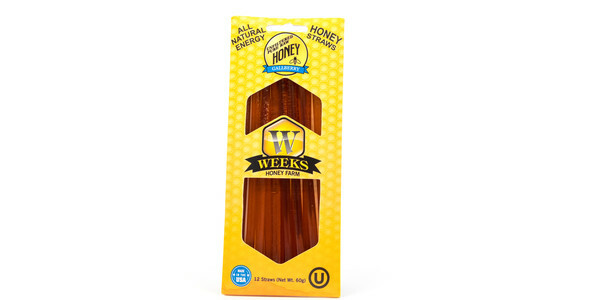 It has a floral and rich flavor. 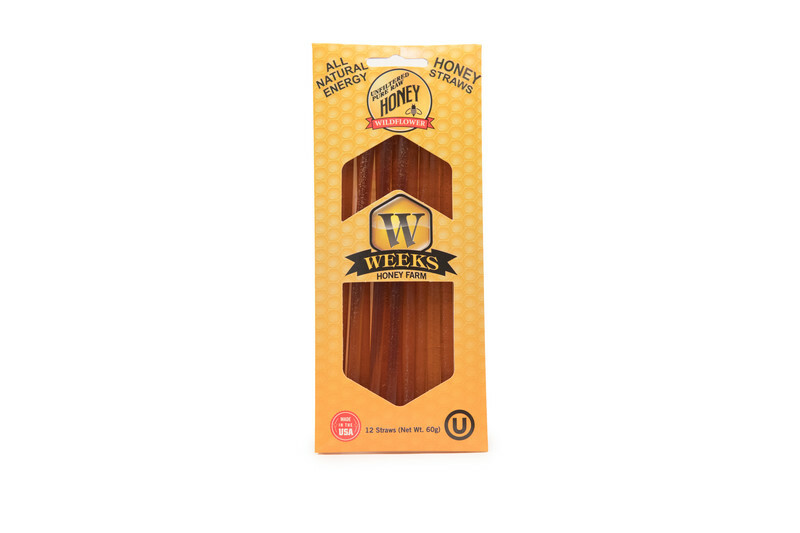 Wildflower honey is made with a blend of spring and summer wildflower nectar picked in the Southeast. It has a floral and root flavor. 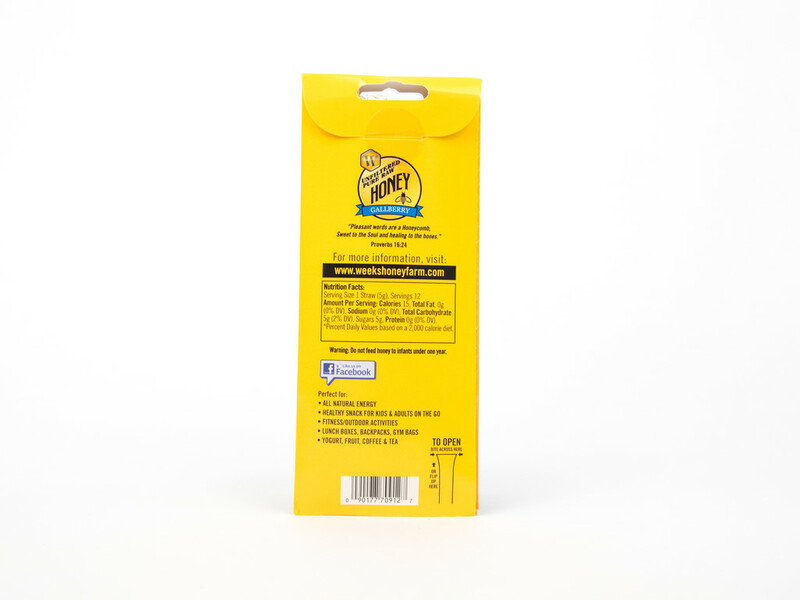 Clover honey is made in Georgia from the nectar of clover plants. 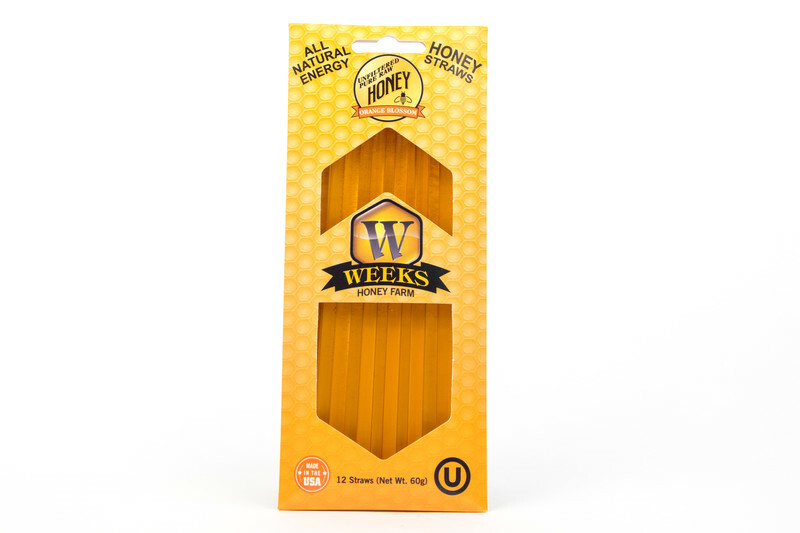 It has a mild and classic honey flavor.